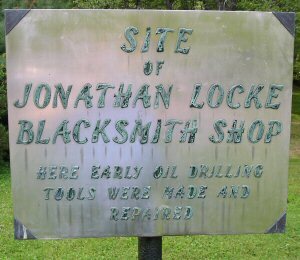 Jonathan Locke, who had the first machine shop near the Drake Well was a native of Lyman, NH where he was born on 11 May 1814. As a young man he learned the trade of millwright while engaged in the practice of that industry in the cotton mill town of Lowell, MA. 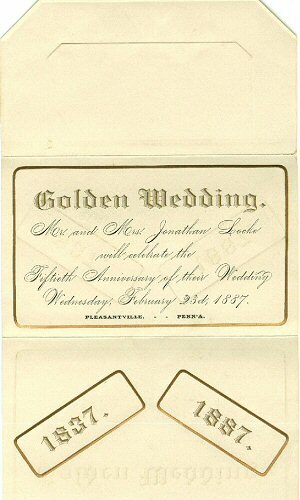 He there met his wife Miss Sarah Cook who was born on 24 Apr 1814. 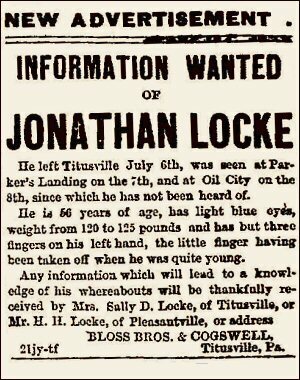 In 1849 Jonathan Locke was induced to leave his New England home and locate in the then lumber country of Oil Creek, Western PA. Arriving in the village of Titusville he assumed residence at the upper saw mill a short distance below the junction of Pine Creek with Oil Creek and a mile and a half below the straggling little town (Cherrytree). 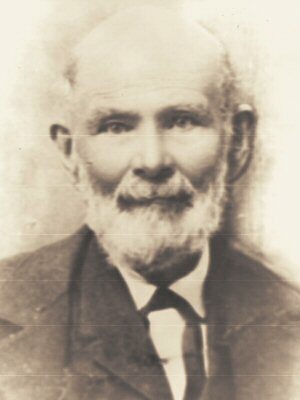 He was in the employ of Brewer Watson and Co. to repair and keep in running order the machinery of the two saw mills. The second mill standing nearly a mile below what was known as the upper mill. He moved his family into the house near the mill in which L. K. Edget lived in 1920. In the old mill Jonathan Locke found a foot power lathe. It was so strongly made that iron could be turned into desired shapes. He could turn boxes and pins and cut threads in the box with dies and upon the pins with screw plate. Remaining at the mill a year or two he decided to return to his native home in NH. From there he went to the gold fields of CA. Four brothers Joseph, Elbridge, Lovering, and Silas had preceded him to the mining region of the precious metals. He met them there and remained a sufficient length of time to build a saw and grist mill on a stream that entered the Sacramento River. He finished the two mills in about a year and a half. A short time after the completion of the Drake well, Jonathan Locke built a machine shop later occupied by the Edget Power House in 1920. He bought a turning lathe in Olean, NY. 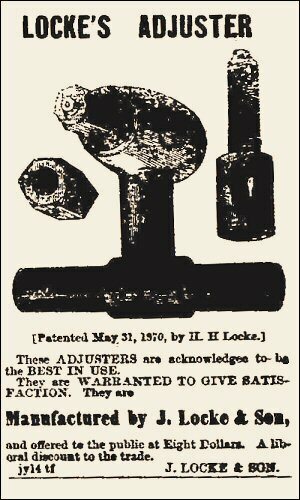 This machine enabled him to make and finish drilling tools. While thus engaged Jonathan Locke bought an interest in the Bryan and McMullen Ironworks which were then newly established in Titusville. This interest was purchased from Dr. F. B. Brewer. Jonathan Locke owned it but a short time. Then he sold it to Mr. Bryan. This firm afterward became the Bryan & Dillingham Ironworks and is today (1920) the Titusville Ironworks. Jonathan Locke continued to reside near the Drake Well during the development of the Oil Industry in that vicinity and down the valley of Oil Creek until after the discovery of the remunerative Oil Field of Pithole in 1865, 12 miles distant from Titusville. Then in 1868 came the Pleasantville and Shamburg oil excitement. In early July 1870 Jonathan went out to collect some receivables from clients and went missing for a year and a half. His wife put out ads in the paper for information on his where-abouts. He eventually turned up in Greenbay, WI in February of 1872. He said he arrived there with $63.30 in his pocket but remembered nothing about how he got there, or apparently who he was for a year and a half. Being a highly respected member of the Pleasantville/Titusville community, the incident was not attributed to any problems with his marriage or family. He had apparently been receiving some treatment from a physician prior to his dissappearance for what was termed an "abberation of the mind." Though he still complained about problems with his head, he apparently returned to work in his machine shop without another such event. In 1876 the Lockes purchased a site on Shamburg Street and enlarged their trade by adding a flour mill, saw mill, planing mill and cider mill.1 He remained at Pleasantville until 1888 when he moved his shop to the Bradford field in McKean County, PA. There in 1894 at the age of 81 years Jonathan Locke passed from the scenes of his active life upon earth to rest in the tomb. 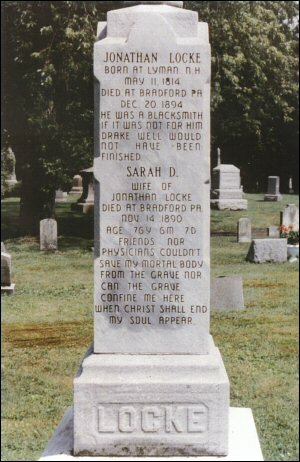 Jonathan Locke's family consisted of nine children including: Florinda, Sarah, Henry Harrison, Martha Helen, Jonathan Morrill, Stephen Farnsworth, Mary Keziah, and Hanibal Orlando. There was another child, also named Mary Keziah, who only lived a short time. Of these children four are now living [in 1920]: Henry Harrison Locke of Bradford, PA; Sarah Logan of Lexington, KY; Stephan Locke of Titusville; and Mary K. Truxal of Chattanooga, TN. Elbridge Locke was a brother of Jonathan Locke. It was Elbridge who stood on the left of the Smith Boys when the picture of the Drake Well was taken by John A. Mather in 1866. Robert and David Locke were sons of Elbridge. These sons were the Lockes who owned the machine shop on South Franklin Street in Titusville. Jonathan Locke shop location sign on the entrance road to the Drake Well Museum.